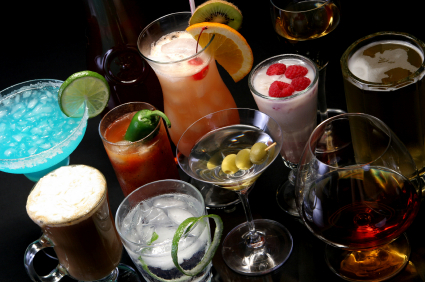 Beverage trends around the nation are stacking up to be the most popular tastes of the year. To coin a common phrase, let's have a toast to: Christmas 2018 and the profits they will bring. Popular premium beverages that are key to profitable holidays have never been as important as they will be starting with the Thanksgiving holidays coming up soon. As you read this, restaurants and bars will be experiencing their busiest time of year, and hanging on for dear life to survive the crush. Booking corporate parties, family activities, weddings, and simple celebrations are of primary importance. It’s a time for festive company holiday parties and entertaining clients in a lavish fashion and it’s a time for families and friends to gather around the dinner table and toast the accomplishments of the year. Being able to provide a venue in which these events can take place in is always a big deal and perhaps one of the finer things to share in life. For restaurant bar owners and managers, these are the most important moments to get right the first time. Beverage sales at their most lucrative of the year, paid for by guests who are entertaining their most important clients and cherished family and friends. Those in purchasing roles have to plan ahead wisely, and have sharp focus on sales and understanding what their businesses need to thrive in this chaotic time of the year. Providing exceptional service, drinks, and ambiance have never been more important to sales for next year. To prepare for these exceptional holiday events, Main Auction Services invites you to participate in the purchase of additional bar staples you may well need this year, and help to anticipate a higher percentage of profits coming into 2019. It is reported among the elite that beverage sales go up 45 percent during the holiday season. Wow! A huge change comes at lunch, with beverage sales there going up by 1,000 percent. Keeping up with inventory during this time of year is like trying to tread water in a swift running river. A variety of considerations are in order. Buyers need to think strategically, making informed predictions as to what types of beverages will be most in demand. 7 weeks of a massive land slide to keep up will be a real challenge. Planning, ordering ahead, purchasing bar equipment is a must. The watch words of the day are "Pay Attention". Due diligence and research can be toward analyzing trends, sales mixes, and year-over-year spending to decide what types of products make sense to buy during this time. The increase in buying also means managers and staff need to pay close attention to organization and tracking sales, so at this time of year, and be sure to take weekly inventory. If a restaurant sees a 30 percent increase in private dining volume, regular sources may need to expand to another outlet to move product. Remember that private parties are a way to push excess product quickly, and by being hyper-focused on our inventory management there may be opportunities to sell into higher-end bottles of liquor, champagne, and wines that we bring in for these groups to help them meet their food-and-beverage minimums. If you have minimum quantities with your current suppliers per order, remember to factor that into your cost matrix. A clear focus on the stability of limiting beverage options in private dining is a great way to manage the high season as far as cost goes. Getting through this time of year for our private dining guests may be worth creating a private dining wine list that is severely truncated from our normal list available the rest of the year. If your current private dining room wine list is about 45 selections, populated by wines that are primarily in the $50 to $150 range, that is what most of these guests are looking for and being sure you keep at least 2 or more cases on hand could become the norm for 7 weeks. Best accepted standards in drinks means maybe not trying to convert your clientele to new and esoteric offerings. Save that for spring wine and cocktails tastings. Pay attention to what your guests are asking for up front at the time of booking. By upping pars on all the wines we pour by the glass, means make sure you do so on $100-to-$300 bottles that we sell a lot of. Provide your guests an opportunity to spend money, without running out of their favorite $250 bottle of wine. Surveys in the past say that most customers are in less of a hurry and more extravagant during the holidays.It is thought that in general, guests are willing to spend more and stay longer. It is widely accepted that a restaurant and bar might be adding a 25 percent uptick in overall sales during the holidays season. High end spirits, wines, and cocktails are more likely to bring in many different whiskeys in higher price brackets since folks are more willing to purchase them. Invest in some more hand-sellable items, as the sales opportunities for these are very present in the holiday season, and remember to reach out to your suppliers for bulk buying that will enhance profits at this time of year. Keep in mind that the holidays are a memorable time for guests. Sometimes you only have one opportunity to make a lasting impression with food, beverage, ambiance and service. Let be perfection for all your holiday events in execution and hospitality. Make sure every party and dining guest has a total meaningful and unforgettable experience. Whether you need to buy or sell one piece, or the contents of an entire restaurant, Main Auction Services is your resource for late-model restaurant, bakery and bar equipment. Call today to speak with a restaurant equipment operator. Main Auction Services serves you across the nation at our convenient locations: 1718 West Main Street • Grand Prairie, Texas 75050 • 972-642-0513 • 2100 E Union Bower Road • Irving, Texas 75061 • 972-579-4612 Take a look at the new restaurant equipment, used restaurant equipment, wholesale kitchen equipment, display case equipment, smalls, and so much more. With a high volume wholesale inventory turn-over, our goal is to make sure that we meet your restaurant equipment, bakery equipment and bar equipment needs. Call us right now to find out more.